Elvis Presley fans descend on suburban Naperville Sunday night for a special tribute show for "The King." NAPERVILLE, Ill. (WLS) -- Elvis Presley fans descend on suburban Naperville Sunday night for a special tribute show for "The King." 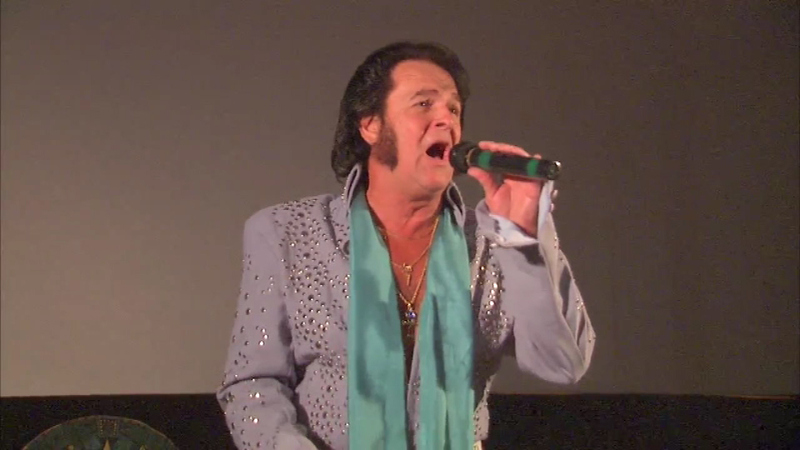 Elvis impersonators and fans alike packed the Hollywood Palms Cinema. The special tribute show included an Elvis look-a-like contest, food, live entertainment and a silent auction. Proceeds go to the Ronald McDonald House Charities. Presley died on August 16, 1977.